Bangalore is a city of dreams. When you start exploring the city, you will find your dreams. Bangalore is known as Silicon Valley of India because of a number of IT establishments. Bangalore is one among the top cities that provides employment opportunities for people. Getting a job is important in life. Having a job with fun is so cool. Now organizations are concerned about their employees. Most of the organizations conduct so many activities for employees to have fun at work. Some organization finds some places for a team outing. This helps to rejuvenate employees and this is a good way for the companies to make them love that organization all the more and boost morale. Resorts are one of the most interesting place for a team outing. The best place to chill out and feel free from the city havoc is choosing a jungle resort. Let’s find out in this blog today on how something exciting like jungle resorts can make a team outing a better and much more thrilling experience . While planning a trip, the organization must have a good plan to execute in the first place. To get a change from office environment, a solitary area like a jungle would be apt. People can refresh and relax with fresh air and with the view of wildlife and the beauty of flora and fauna. Jungle resorts being very eco-friendly are also the best destination to conduct meetings or maybe a get together. A soothing stay and luxurious amenities can be experienced if you choose the right jungle resort. You can enjoy some fun games, indoor games as well as outdoor games like snooker, paintball, beach volleyball, rain dance and much more. 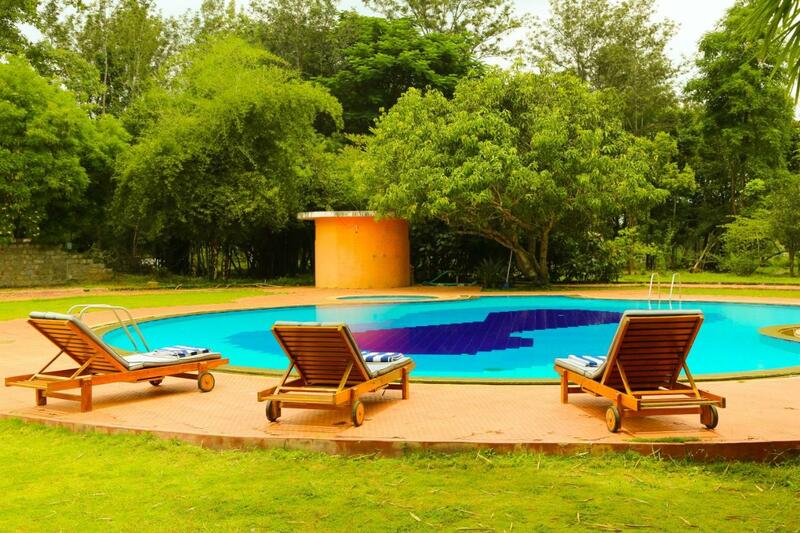 Air-conditioned luxury suites and cottages, a swimming pool, conference hall and a wide range of activities like jungle safaris accompanied with wildlife experts can make this outing quite thrilling for each one alike. There is a great saying service to mankind is like service to god. Service is one of the major factors that everyone looks for. Jungle resorts that provide great service to its customers is bound to get many recommendations and revisits. Accommodation is also an important factor because people find this the right time to relax and let go of tensions. The facilities provided by resorts is of great comfort. By choosing a jungle resort, you can view the stunning scenery of nature and wildlife. Resorts are made in such a way that it touches the wildlife and nature. More. Companies will select those areas which they can reach easily and is convenient for the employees to travel to. Most wildlife resorts are have an on-site restaurant service. It is convenient for the organisation as they would not need to carry any food with them. The team can enjoy a variety of food while engaging in different activities. 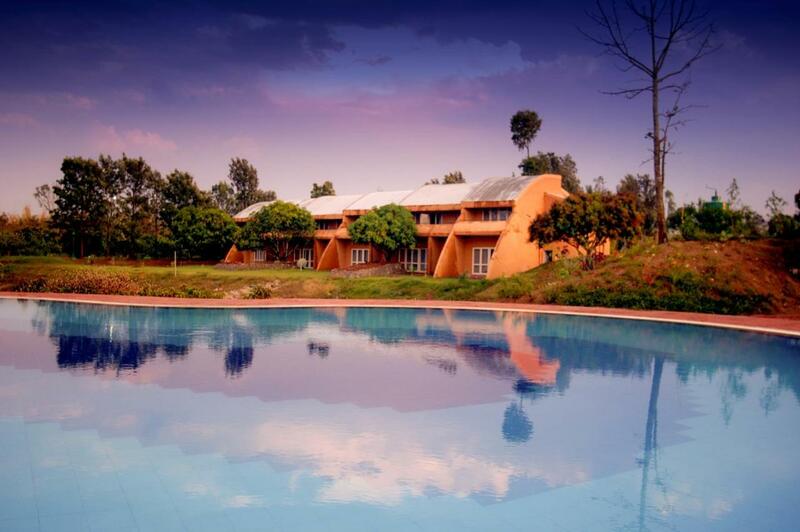 Far from the city, the best place to enjoy for a team outing is wildlife resorts. The fresh air makes everyone feel refreshed during the outing. Feel free from the crowd. There is no way to find more crowd on wildlife resorts. There is no peace like that of the nature. Nature gives the most peace which you can feel in wildlife resorts. The accommodation features lake facing lagoon suites and cottages. The cottages are spacious and the suite is equipped with living room and air-conditioned bedroom tastefully decorated with cane, weeds, banana fiber which are recyclable products. The wildlife resorts are equipped with products that can be recycled like canes and weeds that are used for furniture. There are also equipment for solar water heating system, a sewage treatment plant which apart from recycling the water for gardening, prevents contamination of groundwater. All these facilities such as solar water heating system, water recycling plant and sewage treatment plant are the unique features of the wildlife resorts, which aims to maintain ecotourism. The cottages are in such a way that each cottage has a verandah arranged around a central courtyard. Some have an open to sky concept with glass in which sunrise and sunset can be easily enjoyed. The restaurants cover most of the Indian, Chinese, Continental and local food items and a well-stocked bar. Conducting meetings, team get togethers, training programs with the beauty of nature might be one of the great experiences for a team outing. Audiovisual facilities and poolside decks are the main attractions of resorts. The swimming pools in resorts are well maintained with all security measures taken care of and swimming pool provides good refreshment to body and soul. For a team outing, employees can enjoy themselves with water/pool games. For fitness freaks, most resorts are equipped with a fitness center with all modern amenities. Those people who are interested in bird watching can directly go to the park with the permission of authorities. Birdwatching can also be done in resort premises. Jungle safari with the team is one of the most exciting adventures that can be enjoyed in a jeep. The evening and morning jeep safaris are most enjoyable. Low noise green vehicles along with experienced spotters will show you the giant Malabar Squirrel, Serpent Eagle and Tiger near a waterhole or game track. Many of the group activities like the Treasure hunt and Tug of war adds to the enjoyment of team outing. The resorts offer recreational activities like indoor and outdoor games like table tennis, carroms, cricket, cycling and air rifle practice. Love the nature and its beauty. Make a memorable team outing by staying in wildlife resorts.